Contrary to first impression, an “executive dashboard” is not found in a CIO’s car. Rather, an executive dashboard, also known as a manager dashboard, executive cockpit, or digital cockpit, is a child of what in the 1980s was referred to as the Executive Information System (EIS). These systems, and their web-based progeny, all have the same goal: bringing critical information to decision makers and improving the performance of a business. An executive dashboard (referred to as “dashboard” for the rest of this article) is an intranet for a select group of users. These users tend to be executives—VPs and above, the people who are the main decision-makers in the company. However, not all new dashboards are for executives and their ilk. As organizations push to become more nimble (and hence more competitive), dashboards are now being developed for managers of all stripes. When developing a dashboard, don’t be surprised if you hear phrases such as: “Every employee a CFO.” These reflect a realization by companies that faster decision-making helps them succeed. This means giving managers the ability to make decisions on their own. Companies are finding it’s much better to allow a manager to make an immediate decision in response to a market opportunity than to force him to wait for the CFO, or some other executive, to be alerted to the opportunity and then make a decision. It answers fundamental questions about the business or business unit. Did I reach my sales numbers this month? How many widgets did we sell in China last year? How many widgets are we producing per month at the Chicago factory? How often do employees call in sick at our Miami store? On what days are they most likely to call in sick? Is revenue growing on a month-to-month or week-to-week basis? How am I doing in comparison to my competitors? These sorts of questions can often take a full-time administrator and several spreadsheets to answer. Currency of information is important, but not as important as having the right information. Each particular executive or manager will have their own statistics (called Key Performance Indicators, or KPIs) that are important to them, but often companies will also have a standard set of measures that has been applied across the organization. This eases comparison of managers and executives to one another. Basic KPIs can be combined to form a scorecard, and organizations that have a scorecard likely will want it to be a part of their dashboards. It alerts the user to issues or problems in such areas as production, sales, and revenue. A product defect rate is going above an acceptable level. Absenteeism is becoming a problem at a particular store or factory. Average delivery time is falling below normal. Operational expenses are growing beyond an acceptable rate. Every dashboard needs to have an alert system that communicates when a critical figure has been passed or is about to be passed. In this case, currency of information is extremely important. It helps make decisions that impact the business. Do I increase or decrease production? Do I need to change my product mix to be more competitive? Should I close shop in Des Moines? Do I need to hire more salespeople? Why is the business not growing as fast as planned? These types of questions require the ability to explore a series of KPIs. Also, they require drilling down into figures based on time or region, or selecting and comparing variables. In this case, it is important that the information is presented in a way that helps the executive or manager come to a conclusion about the issue they’re confronting, and construct a rationale to support the decision they make. These measures can be financial or operational, but at the very least they should say something important to the user about the business. KPIs are most often presented in tables, charts, and graphs. Different executives and managers will need different KPIs to support their views of the business. For any project, understanding the technology is important. For a dashboard project this is doubly so. My advice is: become good friends with your technologists and understand as much as you can about what they’re doing. Which system or database will provide the data? How the data will be abstracted from that system? Will it be moved to a data warehouse or some other environment where it will be cleaned up and analyzed? Will a person need to review the data before it can be disseminated? How will the data be pulled into tables and graphs? The source data will often be kept in a variety of places. Some of these will be operational systems, such as SAP or PeopleSoft, and some will be data warehouses. It is important for information architects to understand where the data is coming from, and how it is getting into the dashboard. Data accessibility will have an impact on how the dashboard is designed. As a side note, companies have also used dashboards in recent years as a way to tell Wall Street that their CEO and executive staff are aware of the financial state of the company. CEOs are now expected to be responsible for the financial integrity of their company, and dashboards have been touted as a way to ensure that the CEO is aware of all financial aspects of the company. During the requirements-gathering phase of the project, executives and managers will voice the need for different KPIs. Also, based on their level within the organization, some information may have to be protected from some users. Information architects should have a clear understanding of these limitations to ensure that the right data is delivered to the right people. Users will also want to customize the dashboard. The dashboard’s interface should also allow users to pick which KPIs they see first, as well as set their own alert levels. Users’ interests may change over time, and alert levels can change depending on the business environment. Pre-set alert levels should be programmed into the dashboard, if these are known, but unless the business requirements state otherwise, users should be allowed to change these to suit their situations. Finally, the more robust portal servers will allow integration of other business systems into the dashboard, such as email, news feeds, and so on. These should be included, if possible, since they will only increase the value of the dashboard and the likelihood that the user will, in fact, use it. Since not everyone is interested in the same set of KPIs, and since the structure of the company may require that some information is screened from particular users, a good portal server will be required, or a server platform that can provide similar functionality. If the company already has portal software, then it would be wise to take advantage of this. Dashboard projects can sometimes move a bit slower than other projects because the target audience—executives, mostly—are harder to schedule time with. If the dashboard is for senior executives (the CEO, for example), then it will be very unlikely you will be able to interview your users (with the likelihood decreasing as the size of the company increases). Usually, at this point, the client will appoint someone to identify the needs of the senior executives, and he or she should be able to provide you with most of the information you need. Interview administrative assistants and technical support staff. These people respond to the needs (and whims and desires) of executives on a daily basis. They will be able to inform you of how the executives like to get their information (print vs. screen vs. PDA, etc.) as well as what other sources of information the executive uses. Keep note of any failed information systems (there are usually a few) that were supposed to make the executive’s life better, but were accessed only once or twice for demonstration purposes and are no longer used. What are their lines of business? How do they report revenue? Is the company is growth mode or managing for profitability? What is the company’s overall business strategy? If the company is public, read the annual report, or go to Yahoo! Finance and review the company information. Since executives are usually striving to please shareholders (and increase the stock price), it’s important to understand how investors look at the company, and what the major issues are, such as problems with debt or flagging product sales. This will help give context to the KPIs executives will ask for. Be aware of similar but different KPIs. You should be aware that, especially in large organizations that are the result of several mergers, a KPI may have been created in one group that is similar to, but not exactly like, a KPI generated in another group. For each KPI it will be important to know how it was generated, how long it has been around, and the exact formula used to generate the KPI. If you are merging two KPIs into one, understand how the KPIs are similar or different, and what the effect of losing one of these will have on an executive or manager. Balancing these needs can be politically tricky, but should be manageable. Access issues are important to consider especially when creating a site for users who are almost always pressed for time, as executives and senior managers generally are. To ensure your dashboard gets used, spend some time during the requirements-gathering phase to understand how executives currently get the information that will be newly presented in the dashboard. Understand what they like and dislike about how they get the information. Choose an effective delivery system. A dashboard can have amazing information design, a smoothly functioning back end, and can satisfy every whim and desire of the executive, but it still may not be used because the executive or manager travels so much they only use their wireless handheld, or because they’re used to reading everything on paper, or because their administrative assistant doesn’t know how to find it and therefore doesn’t open it up for them. Also, don’t underestimate the power of having reports hand-delivered. For people who have an enormous amount of information to look at, printed reports is one way of controlling that flow. When interviewing an executive’s administrative assistant, ask them about the best way to deliver the dashboard to ensure it gets used by the executive. Given the type of information that is being displayed, security will play a big role in the development and design of the site. There will be two aspects of security you will need to confront: who gets to see what; and how is the site protected. Personalization will allow you to control who sees what (see above), but controlling access to the site also needs to be considered. The best is to take advantage of a current Single Sign On (SSO) solution, if one has been developed, or use the network login, if that is possible. Otherwise, one is faced with having to generate a new set of user names and passwords for users to memorize. Given that most of these users are pressed for time and already overwhelmed with systems that are supposed to help them, a new set of user names and passwords can severely hamper the success of a new dashboard. Balancing security concerns and ease of access concerns may confront you with some tough decisions. Try and resolve these issues as soon as possible in the project. A large part of ensuring the success of a dashboard project will be getting the technology right. As an IA, you will probably not be expected to manage this part of the project, but it will be critical that you understand the possibilities and limitations of technology. The following are some things to keep in mind. Business Intelligence (BI) is an area of technology that is concerned with gathering and analyzing financial and operational information. Most likely, the systems from which data will need to be extracted are BI systems. It is also likely that there will be other BI projects with which the project team will have to coordinate. These projects are normally managed through the technology department. There are many companies that provide systems and software for the BI space, and they all offer a variety of features. Some of the players currently develop systems to manage business information, such as SAP, PeopleSoft, and Siebel. Others develop data warehouses and analytic tools such as data-mining tools. Some of the players here are Oracle, Hyperion, Cognos, and Business Objects. This is by no means a complete list, and each vendor offers a different set of capabilities. Most have some sort of dashboard offering that is tied into their own system. However, the information needed to create an effective dashboard rarely lives in just one system or database. Most organizations use a variety of these systems and may even have a few home-grown solutions as well, including Excel spreadsheets. On a recent project, the client captured much of their financial information in Hyperion Essbase, operational information in SAP, and sales information in Siebel. Moreover, many of these systems are not known for their ease of use. Often they present too much—or too little—data, and sometimes they are not customizable by the user. The graphs themselves may be confusing. At some point you will have to define what you mean by real-time data. Very rarely will this mean instantaneous data. Often, data is exported out of one system and into another on a daily or weekly basis. Financial figures are revised often, and sometimes only reported on a weekly basis. Sometimes there is data manipulation that needs to occur to bring the data into the right format. Almost always, companies are tinkering with their data systems in an attempt to improve or consolidate them. All of this will have an effect on the accessibility of data, and how current it will be when it is abstracted. Understanding exactly what information the executive or manager needs, and why they need it, will help you make a decision on how current the data needs to be on the dashboard. Sometimes data that is a little older may even be better, since the executive or manager will have more faith in its reliability. Before designing functionality for the dashboard, it is best to understand which charting software will be used and how it will impact chart and graph design. Many BI systems will export tables and graphs that can be pulled into a dashboard. Crystal Reports is a popular charting option, but there are many other providers of charting software such as JFreeCharts, Big Charts, and Object Planet’s Easy Charts. All of these charting programs have benefits and drawbacks, and all of them will place some limitations on chart and graph design. Once charting software is chosen, you might perform a test to help clarify its limitations. Design one chart or graph, and then try to generate that using the charting software. You may find that you can’t make the font as small as you would like, or that other design elements cannot be represented as you intend. It’s better to find this out sooner rather than later. Another thing to keep in mind is that not all reporting software generates charts on the fly. Especially if charting is a part of a BI system, be sure you understand how often charts are generated, as some BI charting applications generate charts on a daily basis, rather than on demand. You should keep in mind that dashboard projects often come about because of frustration with existing systems. Often, the current BI systems have not been stitched together in a meaningful way (there are too many of them, or they are not integrated), or the systems are less than useful because the information is presented in a way that is not immediately comprehensible or useful. For an information architect (at least for me) this is the most exciting challenge: Organizing data in a way that is meaningful for the user, as opposed to reflecting how the systems collect and manage data. It is the essential Tufte challenge: how to take massive amounts of data and clearly tell the story inherent within it. Most KPIs, if not all of them, will be displayed using tables, charts, and graphs. Most reporting software packages offer the basic graph options—pie charts, column graphs, bar graphs, and line graphs—and then some. These should be enough to represent the KPIs you’ve selected for the dashboard. However, even within these basic types, there are variations you should be aware of. Review Information Graphics by Robert L. Harris for a complete exploration of data displays. You should be able to find the appropriate table, chart, or graph from this book. When using reporting software, be wary of options that look great, but don’t tell the story you’d like to communicate. For example, 3-D options may look nice, but they add a lot of excess “chartjunk” and detract from the story you’re trying to tell. For the busy executive, quick comprehension outweighs a pretty picture every time. There are two important dimensions to data that the executive or manager must be allowed to explore: time and scope. The user must be able to compare the data to either the past or the projected future. Incorporating past data will help give the executive or manager perspective on current data. Incorporating projections will help the user see where they are headed if the current state remains unchanged. Almost every KPI should have some time element incorporated into it for these reasons. Scope refers to the ability to drill down into data, or roll up data. For example, if an executive is experiencing extreme growth for his or her business unit, they will want to know who or what is responsible. Giving them the ability to drill down in data based on geography, or sub-group, or some other variable, will help provide them with answers to their critical questions. The ability to navigate along these dimensions will improve the value of the dashboard immeasurably. The steps one follows to build an executive dashboard are not too different, if at all, from the steps one would follow to build a “normal” website (if there is such a thing). However, the target audience, and the types of information being presented, place demands on the project which are different from the average web project. It may also require the Information Architect to spend more time worrying about technology than he or she is used to. But, putting these issues aside, designing an executive dashboard presents an almost pure data-design challenge-one of the few an IA can find in the web world. It gives the IA an opportunity to understand specific questions, and then try to answer those questions using data presented in tables, charts, and graphs. As an IA who also considers himself an information designer, this is a wonderful opportunity indeed. Betts, Mitch (April 14, 2003). “Management Dashboards Becoming Mainstream:” ComputerWorld. Krell, Eric” (March 1, 2003). “Gauge Performance by the Dashboard:” Internet World Magazine. 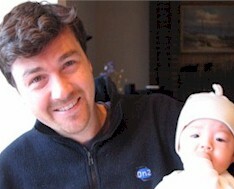 Orlov, Laurie M. (December 2002). “Use Business Intelligence To Manage Velocity:” Forrester TechStrategy Report. Tedeschi, Bob (July 29, 2002).“E-Commerce Report; Digital cockpits are a faster, much closer way of tracking performance in a corporation’s every corner:” New York Times. Harris, Robert L. (1999). Information Graphics: A Comprehensive Illustrated Reference: Institute of Electrical & Electronics Engine. Norton, David P. and Kaplan, Robert S. (1996). The Balanced Scorecard: Translating Strategy into Action: Harvard Business School Press. Alex Kirtland is a Senior Information Architect and Experience Lead and is currently working as a freelance consultant. He has worked with a variety of companies and organizations, including Kodak, Verizon, Avaya, Western Union, and the Federal Reserve Bank of New York. He has experience with a diverse set of project types, from executive dashboards to metadata strategies to recipe finders. Most recently he has helped the Rodale Press redesign their online magazines, including MensHealth.com. If you want to learn more about him please visit his website www.alexkirtland.com. Alex Kirtland provided permission to archive this article at DSSResources.COM on December 5, 2005 and he received permission from boxesandarrows.com where it was initially published. This article was originally published 11/24/2003 at URL http://www.boxesandarrows.com/view/executive_dashboards. This article was posted at DSSResources.COM on January 20, 2006.